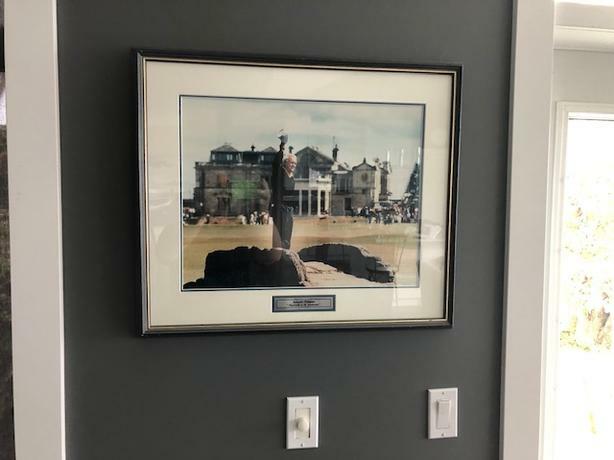  Log In needed $75 · Framed Photo of Arnold Palmer "Farewell to St. Andrews"
Arnold Palmer Farewell makes a perfect gift and is great for the office, home or clubhouse. Beautifully framed and double matted, this framed photograph of Arnold Palmer's farewell on the St. Andrews bridge is a must-have for any golf enthusiast. Dimensions: 17" L x 19" W x 2" H 4.5 lbs. 24" L x 30" W x 2" H; 7.5 lbs.